Our Combination Classes designed specifically for toddlers, preschoolers, and children under age 7, provides the opportunity to explore the wonder of dance and creative movement. We understand the importance of starting dance at a young age, especially for children who are drawn to the art and ready to explore creative movement. Rare will you find schools that offer classes to toddlers. Ours begin at the age of two! The Toddler Combination classes combine elements of Ballet, Jazz, Tumbling and Singing, giving your child the opportunity to experience different styles of dance while expressing him or herself and enjoying some time away from Mom or Dad. Developed specifically for the energy, coordination, and creativity of a preschooler introducing ballet, jazz and tap dance in a once-per-week environment, the Preschool Combination class will help your child experience the magic and wonder of dance while learning new skills and technique. Several sessions of the Preschool Combination class are offered on different times and days for ages 3—4. If your child is turning 4, we invite them to enroll in the appropriate class level for his/her age until they turn 4. Taught by some of the best instructors in the state, Children’s Combo classes focus on preparing dancers with the foundation they need to enter the more disciplined training offered in Ballet and Jazz Level 1. A Children’s Combo class is extremely important for first time dancers as they are instructed on the important techniques of ballet, jazz and tap. For children ages 5—7 who are dancing for the first time, we encourage beginning in Children’s Combination to develop the foundation needed to progress in future classes. 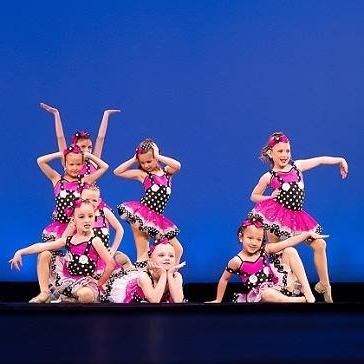 Combination classes perform in the annual Spring Recital each May—a fun time to express themselves creatively in costume for Mom and Dad, siblings, grandparents, and all their biggest fans!